Its a simple well known fact that your state of health and well being reflects the balance between the good things you eat and do vs the bad ones, so the key is to figure out a way to tolerably fit more of the good into your routine. Thats the root of sustainable healthy eating – how do you make the good things enjoyable? With a little forethought it’s not very difficult at all. Here’s a real beauty – the power of opium. Thats a mnemonic for Onions, Peppers and Mushrooms. This trio has the unique distinction of being very tasty and compatible with many (if not most) dishes, and also being very good for your general health. The three are loaded with vitamins and antioxidants, and each is a powerful modulator of immunity due to the phytonutrients they contain. This group should be of particular interest with the coming flu season. Getting ready to prepare a big steak feast? Take a minute and chop up some opium. You KNOW how well it will add to the flavor. Cooking up dogs or burgers? Do the same. How about eggs? Only takes a minute to make an omelet vs a dull fried one. That extra minute makes you a chef vs a “stove slug” and it goes a looong way to fostering your health. Remember its the cumulative effect of good habits. 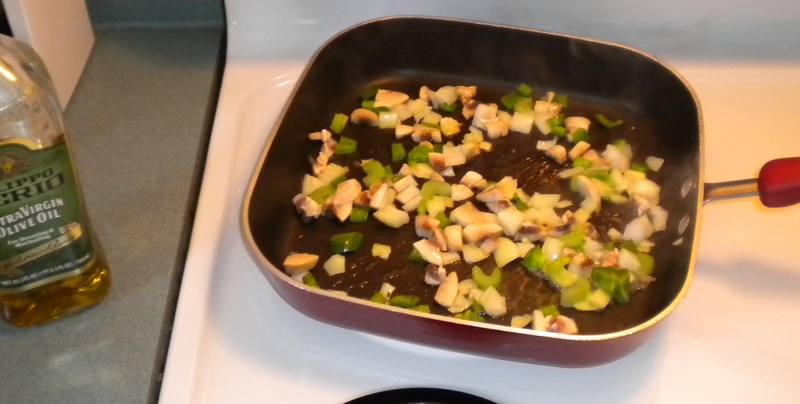 Added tips: Use olive oil when cookin em, and don’t overfry the three. They may actually gain effectiveness with light sauteeing, and its enough to bring out that magical blending flavor, overcooking weakens the absortive effect. Also throw in celery if you like, and sprinkle on paprika and other healthy seasoning. If you have these things on hand it takes very little time at all. You improve the flavor and you improve yourself. What a deal! This entry was posted in Diet, health, immunity and tagged diet, food, food enjoyment, health, mushrooms, onions, peppers. Bookmark the permalink.